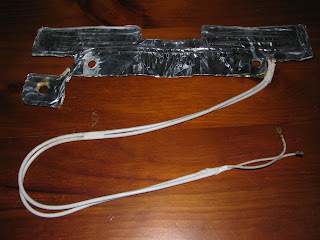 Phil at Warrimoo: Reducing Fridge Energy Consumption - Now with Pictures! 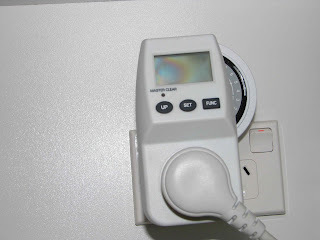 Reducing Fridge Energy Consumption - Now with Pictures! For about 12 months our family has tried to reduce our gas and electricity energy consumption. We use gas for hot water, wood for heating and we have no air conditioner so our main electricity consumer was our fridge. I confirmed this by measuring the energy that the fridge used. We have an old fridge. It is an upside-down model and at least 15 years old - a Westinghouse Silhouette 411L RB411B. In our situation - on the lowest [power] setting - it consumes about 1360WHr per day which consists of a constant load of 50mA (12.5W) and about 165W when the compressor is running. The power factor for the motor appears to be about 0.66 - of course these figures are rough and really just provide me with a baseline (To measure the power and power factor I used a cheap energy meter that costs about $40). The compressor typically operated for 11 minutes in every 41 or about 27% of the time. I began by focusing on the constant 12.5W. What is it? The fridge is not a smart fridge so why does it constantly consume 50mA? This adds up to 300WHr per day or about 22% of the total energy consumption. This fridge has a cooling plate in the upper section where the milk and eggs are kept. It seems that the design causes ice to build up on the plate which could, if not removed, reduce the efficiency of the fridge. To overcome this, a heating element was installed behind the plate to melt any ice when the compressor stops. The melted ice drips into a gutter and is drained to an evaporator above the motor. So, I ripped it out. I could have just disconnected it, but I didn't. Having removed the defrost element, I had to develop a plan to remove ice from the plate. I achieved this by placing the fridge on a timer which cut power for, initially, 3 hours from about 3AM. This didn't have a noticeable effect on the operating range of the fridge and it allowed enough time for the ice to melt. In theory, the fridge should now consume about 1060WHrs - a big difference. But shouldn't it reduce the energy consumed by more than 12.5W because the heating energy must then be pumped out the next time the compressor runs? If the compressor is like an air-conditioner, then the cooling efficiency is about 2.5 which means that it should take 5W to remove the heat from the defrost element. Therefore the reduction should be more like 17-18W or 410-430WHr per day. My records aren't the best, but I think the fridge now consumed 950WHr per day based on a duty cycle of 24%. My next thought was to insulate the fridge. 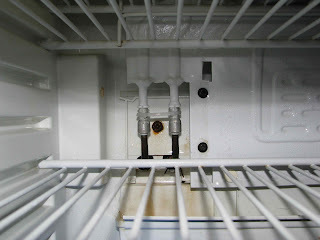 As I said, it is an old fridge and has the radiator elements on the outside and about 25mm from the back of the fridge. 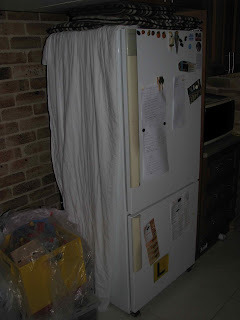 I placed a blanket between the radiator and the fridge and I draped a doona (light weight polyester blanket) over the sides of the fridge. This also had an effect. The on-time reduced to 9 minutes in 43 minutes or about 21%. The result is an average energy consumption of 810WHr per day - down 40% from my unmodified fridge. My current challenge is to see if I can do better by controlling when the fridge can operate. The idea is that thermostat is too sensitive and operates when the door is opened and the fridge looses it's cold air. My calculations suggest that the warmer air from the room doesn't take much energy to get down to normal fridge temperatures so by making the thermostat a secondary temperature controller I hope to reduce the energy consumption further. It also allows me to have two defrost periods during a day and to ensure that the fridge has plenty of time to adjust to post meal activity as warm foods and goods are placed back into the fridge. Initial results are promising: without insulation the fridge is consuming about 800WHr per day, so with insulation it should be even lower. The fridge is operating between 4 and 9 degrees Celsius and typically between 5 and 8 degrees. Perhaps put the thermosensor inside a container of water? Interesting idea. I guess that the temperature of high-mass foods remain fairly constant where as the air temperature would vary much more. I might try measuring the temperature of a jug of water first. +1 on the jug of water trick, I've seen it recommended in a few places. 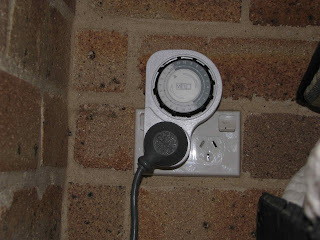 Could you point to a supplier in .au for the energy meter? I have been looking for a reasonably priced one such as this for some time. Jaycar and Coles (surprisingly. I noticed one in a Sydney city store about 6 months ago). $30 from memory under the Arlec brand.